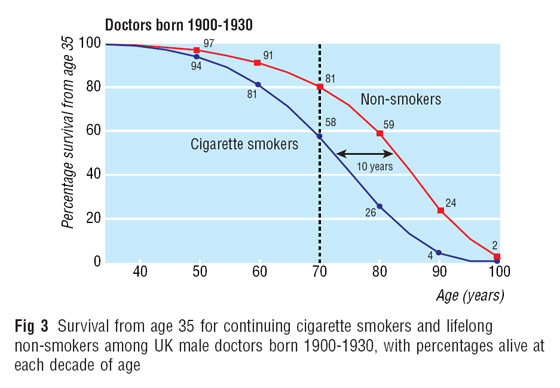 This graph is from BMJ 2004;328:1519-33. For more information about smoking and premature death, see Deaths From Smoking. For an equivalent graph showing the effects of obesity on survival, see graph no. 14. Source: These findings come from the British Doctors' Study, which recruited 34,000 male doctors in 1951, then observed their lifestyles and health for another 50 years.